The best part of any Easter Sunday is the family egg hunt. Colorful eggs are filled with gifts strewn about the lawn as children hunt for Easter treats to put in bright baskets. Full-color photographs show children of all ages taking part in the annual event, searching the grass and behind flowers for eggs filled with coins or even chocolates. 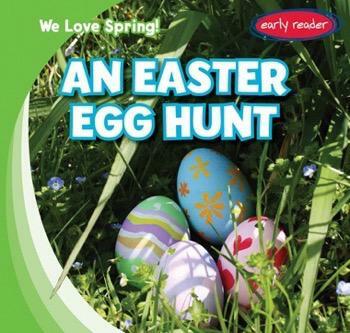 Paired with accessible text, beginning readers learn about the fun traditions associated with an important spring holiday for millions of people all around the world.